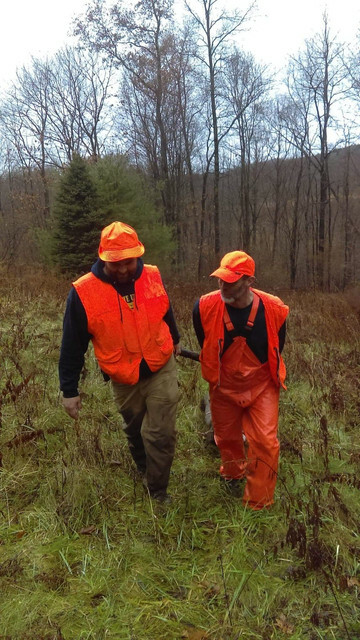 hey everybody, I’m looking for some good ideas or products for small game hunting. I usually use a paracord type rig. However, I saw a cool pack on a show the other day and it wrapped around the back. And had a top where you could drop the game in. Any ideas? Thanks. My redneck solution to carrying squirrels: tie 2 of the metal fish stringer hooks using light cord (maybe 6' to 8" inches) to a piece of wood or antler tip. After killing a squirrel push the stringer hook through one of the back feet and close the hook. This way I don't have to wear a hunting coat with pouch and the fleas (that most squirrels carry) don't chew one me. String length is a trial and error thing to get proper length so that squirrels don't drag the ground. I can carry my limit of squirrels this way easily. One of my current day packs is the "Field & Stream Shop Powderhorn XL Backpack." 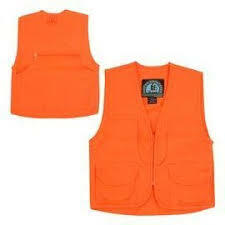 I wear a vest like the second one here, for small game and deer gun seasons as well. The front pockets are large and hold drag rope, gloves, hat, water bottle, lunch, binoculars, etc. The back pouch is for small game. They make lots of "upland vests" with game pouches and lots of pockets. 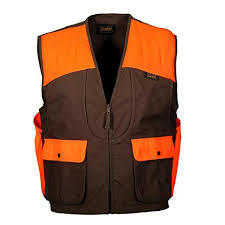 Here's the vest I wear. It's pretty much done away with me needing to use a backpack on day long hunts. I can fit everything, including an extra coat, in the pouches. I like a daypack...where I can at least store enough food, clothes & a first aid kit for at least one unscheduled overnight stay in the boonies.